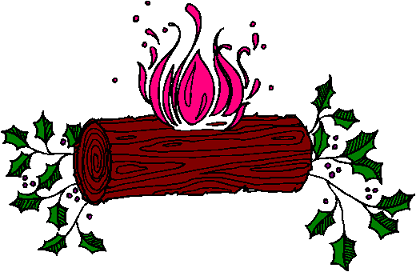 A Yule log is a large log which is burned in some cultures to celebrate Christmas or Yule. In pre-Christian times, burning the log was thought to drive away the evil spirits that were around on the Winter Solstice. 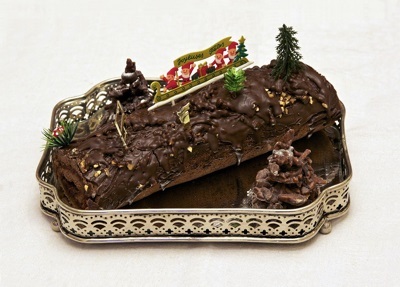 Yule log was originally a French dessert, known as bûche de Noël. Bûche de Noël is a sponge cake made in a long shallow pan, frosted and rolled to form a cylinder, and then frosted again. Most commonly, yule logs are made from yellow sponge cake with chocolate frosting, but many other variations exist as well.